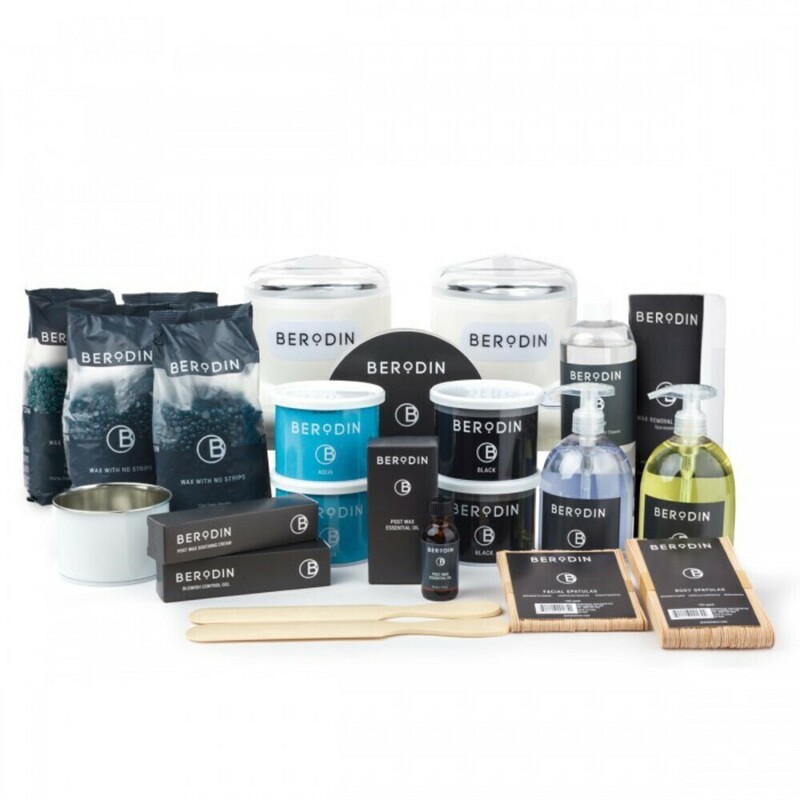 Why Berodin's New Wax Kits are the New Black - Berodin Black, That Is! Waxing studios are popping up everywhere, and Pure Spa Direct has everything you need to get started on your business! From beds and trolleys to wax and sticks - we have it all! Berodin Pro Starter Kit - A $508.50 PACKAGE VALUE! (1) Berodin Cleanser Lavender Antiseptic Lotion / 500 mL. (1) Jasmine Pre-Depilatory Oil / 500 mL. (1) Post Wax Essential Oil / 1 oz. (1) Post-Wax Soothing Cream / 1.7 oz. (1) Blemish Control / 1.7 oz. (1) Wax Off Equipment Cleaner / 16 oz. 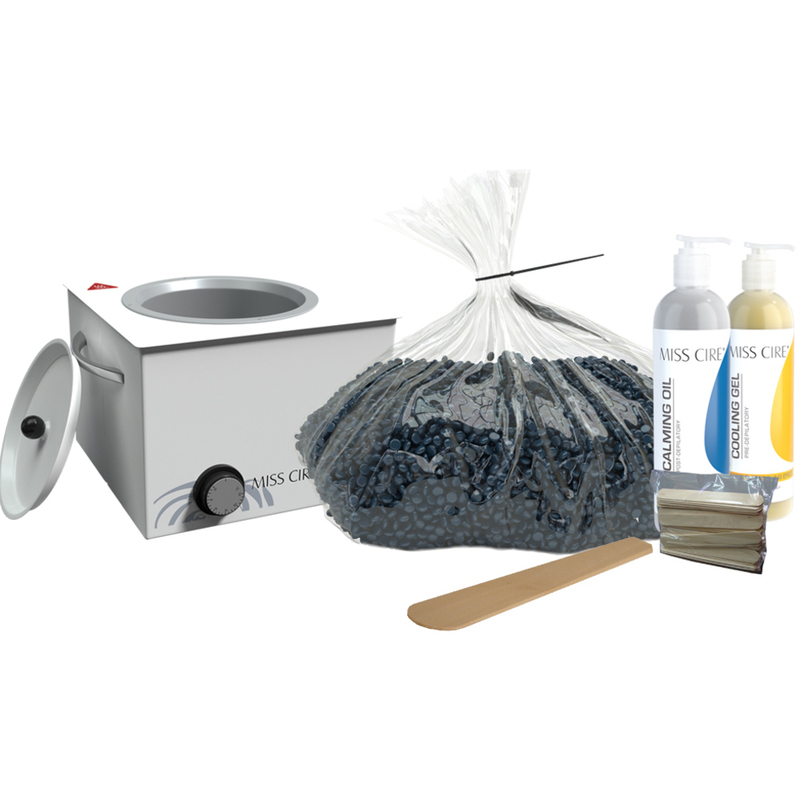 For the Pro Waxer, this Pro Wax Kit is #1! polymer based formula delivers flawless results. This formula allows you to apply a thin layer of wax, removing effectively fine and coarse hair. Due to its low-temperature formulation, is recommended for any skin type, especially for sensitive ones, minimizing skin irritation, redness, and pain but maximizing client comfort. Extra careful selected ingredients are designed for great elasticity, easy to use, disposal after use and convenient for speed waxing. The Miss Cire Hard Wax Pro Kit has everything you need to perform professional hard wax services. One (1) Blue beads film hard wax bag x 23 lbs. One (1) Single large spatula 9.6"